Elk Ridge fixed blade hunting knife. 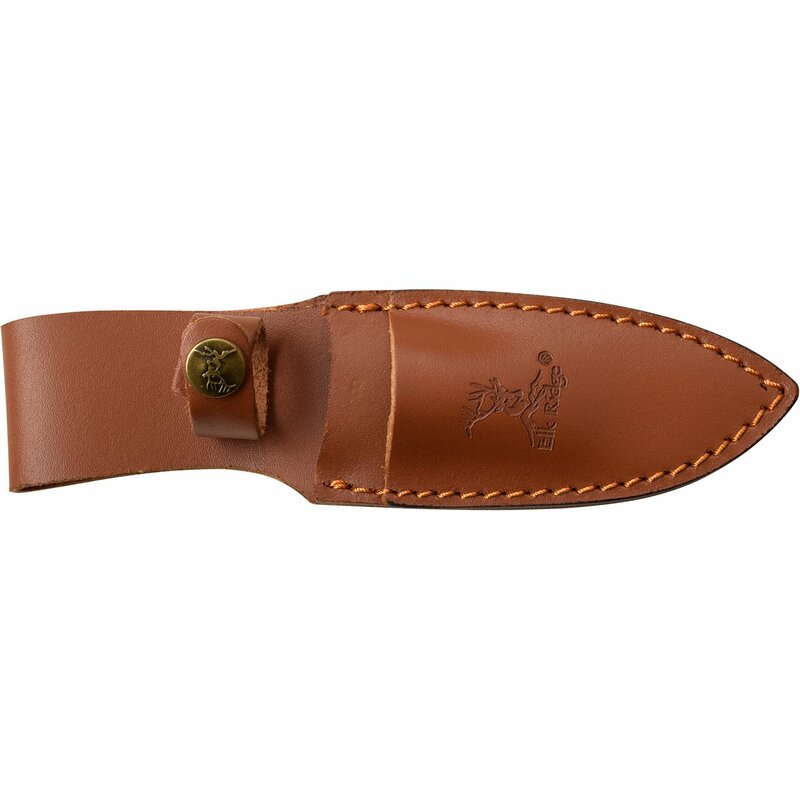 Gut hook knife and drop point blade knife come with leather sheath. 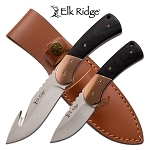 Elk Ridge hunting knives are one of the best knives for cheap knives price available in market. 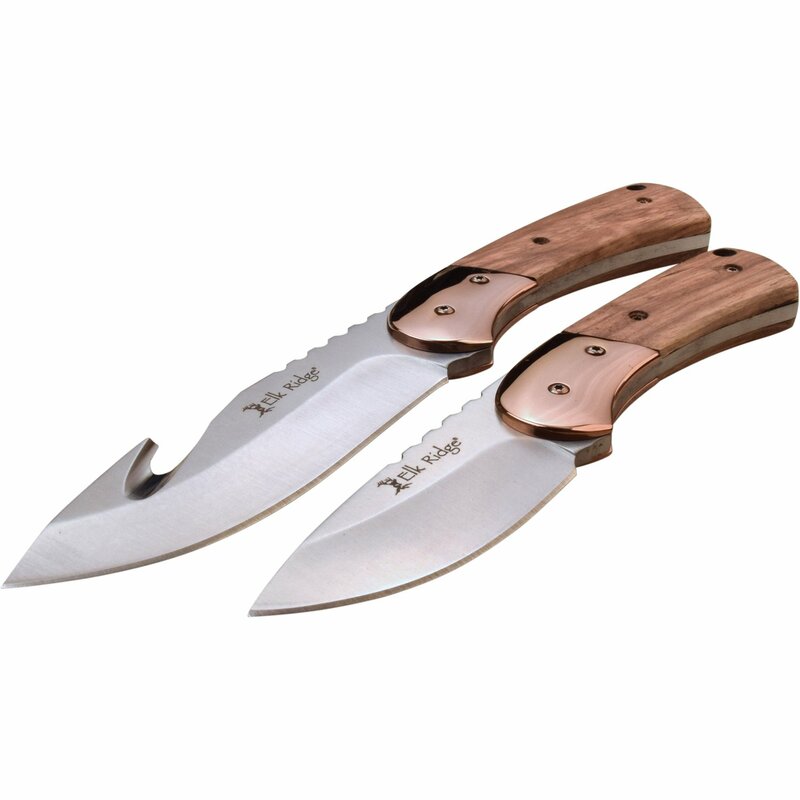 These knives have the best quality you can find. 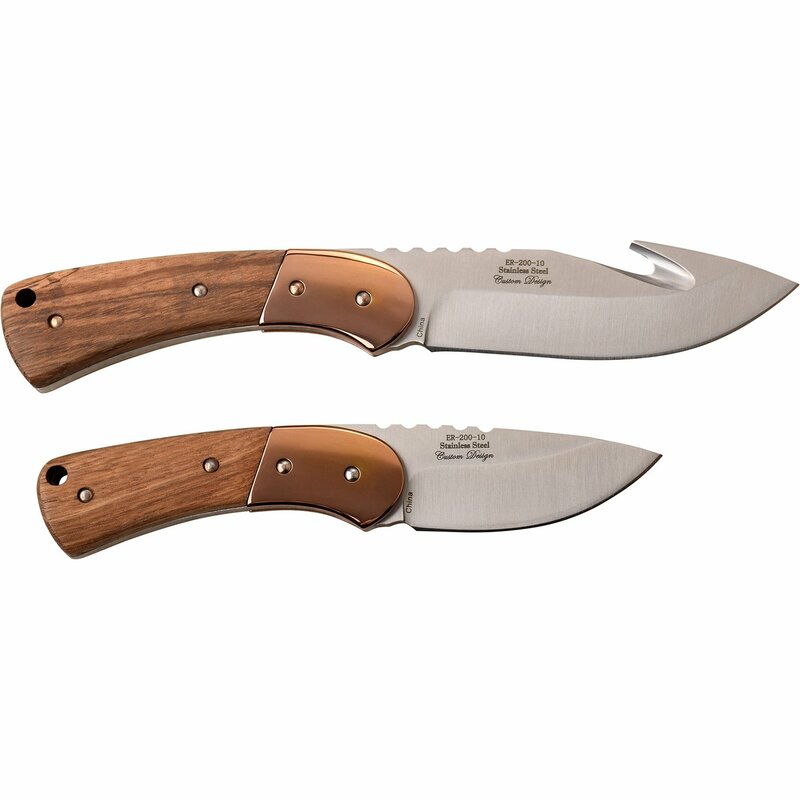 Solid and sharp stainless steel blade are excellent for hunting use or fillet use.